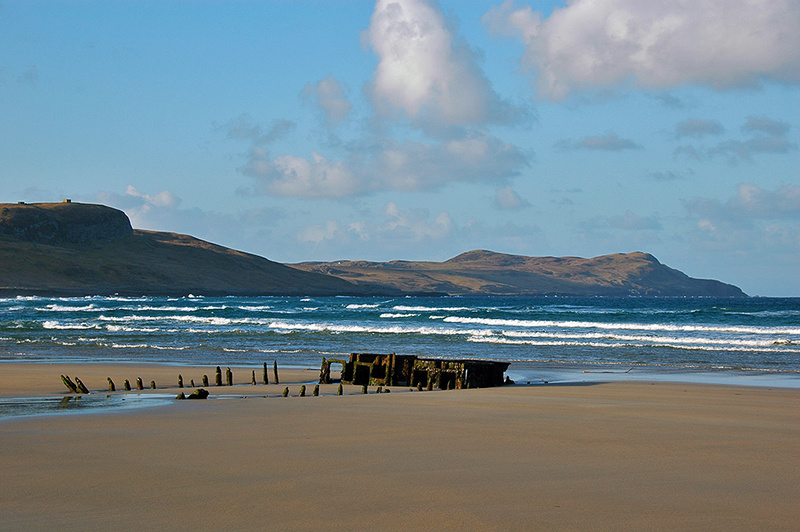 An impression from April 2008, the old wreck on Kilchoman beach in Machir Bay with waves rolling in behind it. 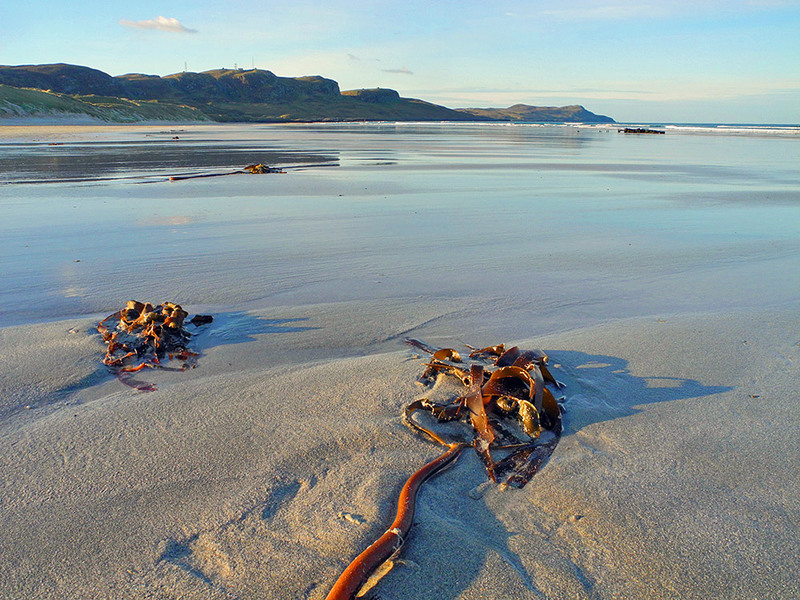 Some nice mild April morning light on Kilchoman beach in Machir Bay on the west coast of Islay. 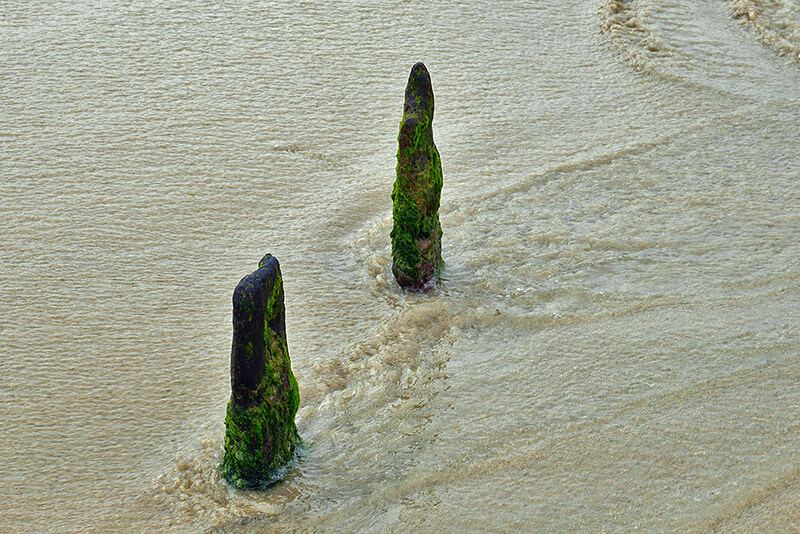 Some seaweed/kelp washed up on the beach, the old wreck in the distance on the right.